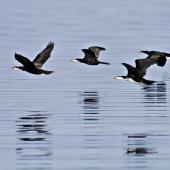 Geographical variation: Three subspecies are recognised. New Zealand birds are of the subspecies brevirostris whose different plumage forms freely interbreed. 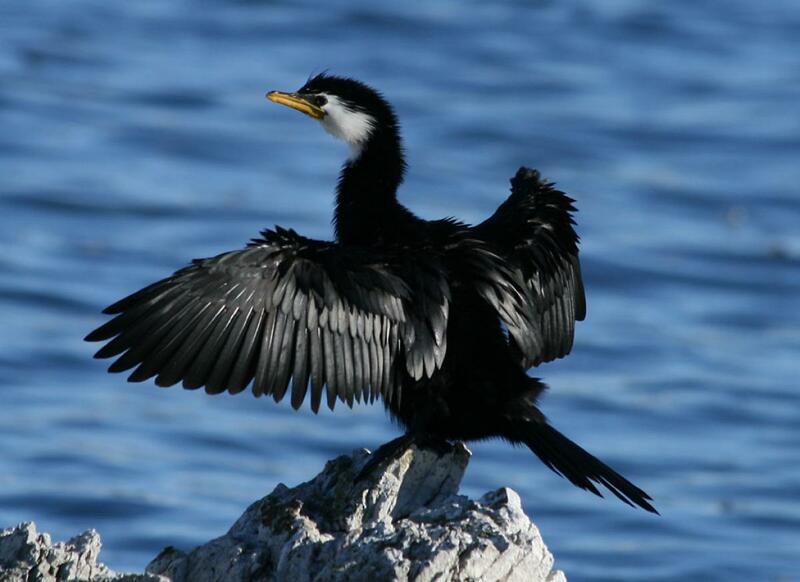 The Australian subspecies melanoleucos (the little pied cormorant) bred at Campbell Island in 1967, and is vagrant to the Snares Islands. 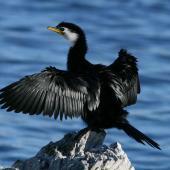 The little shag is the most widely distributed shag species in New Zealand, found in both marine and freshwater habitats, on the coast as well as on inland lakes, ponds, rivers and streams. 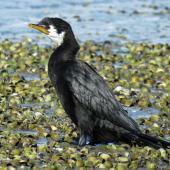 It also has the most variable plumage of any New Zealand shag. 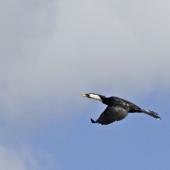 The face, throat, breast and belly plumage range from completely black through to white, with a range of partial combinations in between. These pose a challenge to identification, at least until the observer becomes familiar with the little shag’s diagnostic short-billed and long-tailed silhouette, along with its small size and stubby yellow bill. 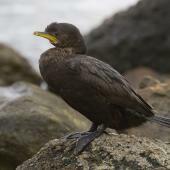 Shape alone is sufficient to identify a little shag. 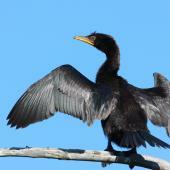 The little shag is a small shag that exhibits bewildering plumage variation. 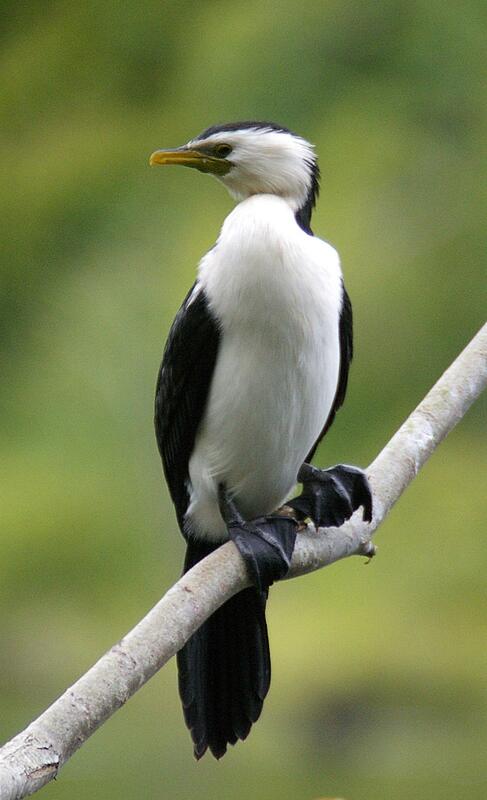 Most adults are black with white cheeks and throat, a colour morph sometimes referred to as a ‘white-throated shag’. 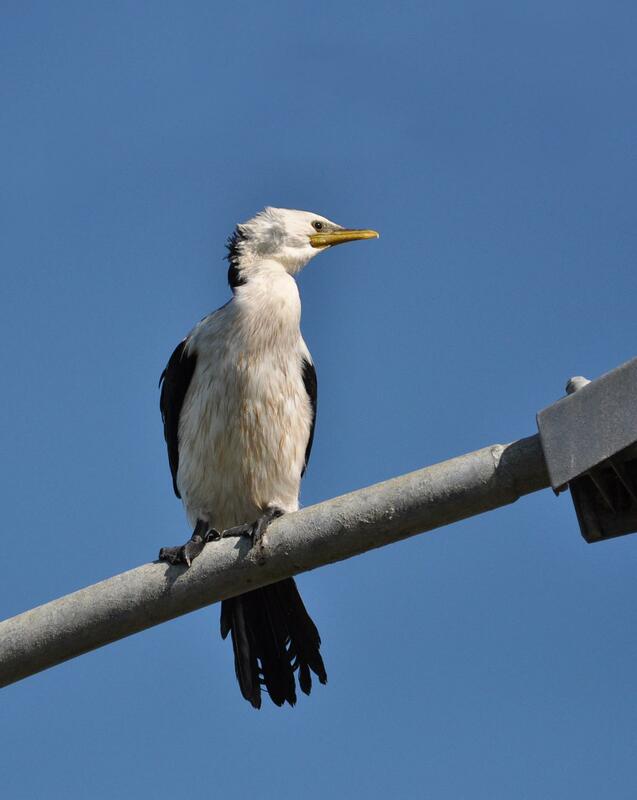 At the other extreme, 8-60% of adults (depending on location) have completely white underparts, from face to undertail, indistinguishable from the little pied shags/cormorants of Australia. 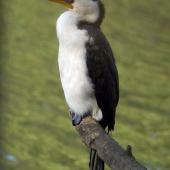 ‘Intermediate morph’ or ‘smudgy’ are terms used for about 5% of birds that have white faces and throats and variegated patches of black and white on the breast and belly. 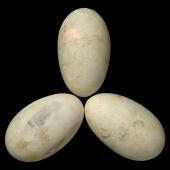 All three morphs develop a crest during the breeding season. The bill is short, stout and yellow, dark on the ridge. The eye is brown, and facial skin yellow. Legs and feet are black. 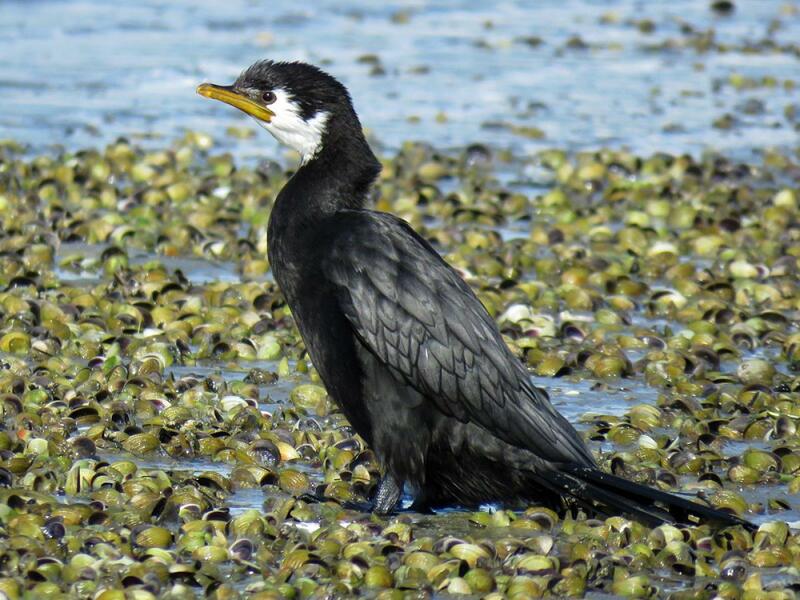 The pied morph of the little shag is more common in the north of New Zealand. 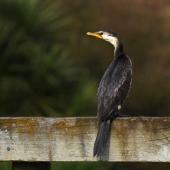 In 1987, white-breasted birds made up 60% of the population in the Far North, 32% in Auckland, 15% in the rest of the North Island, but just 8% in the South Island, where the white-throated morph is predominant. 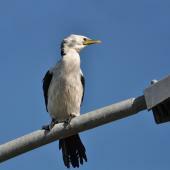 The first plumage of juveniles is either white-breasted or entirely black. 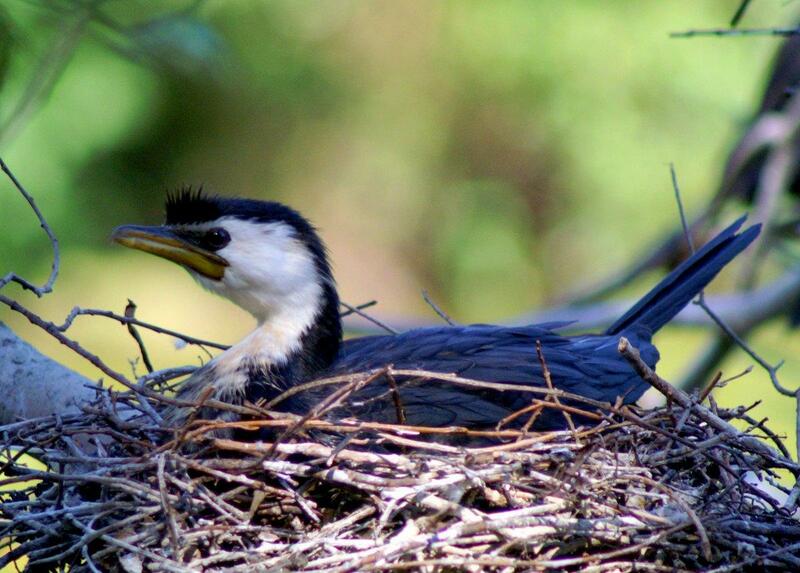 Examples of each type can be present in the same nest where the adults are of different plumage forms. 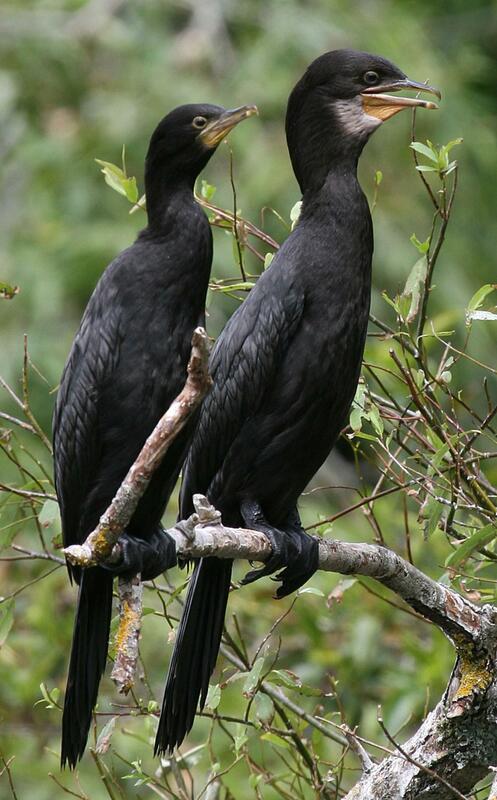 The all-black fledglings develop a white throat after becoming independent and until then can be confused with little black shags (but note differences in bill colour and shape). Further variation is added by birds with stained white feathers, appearing orange-breasted. 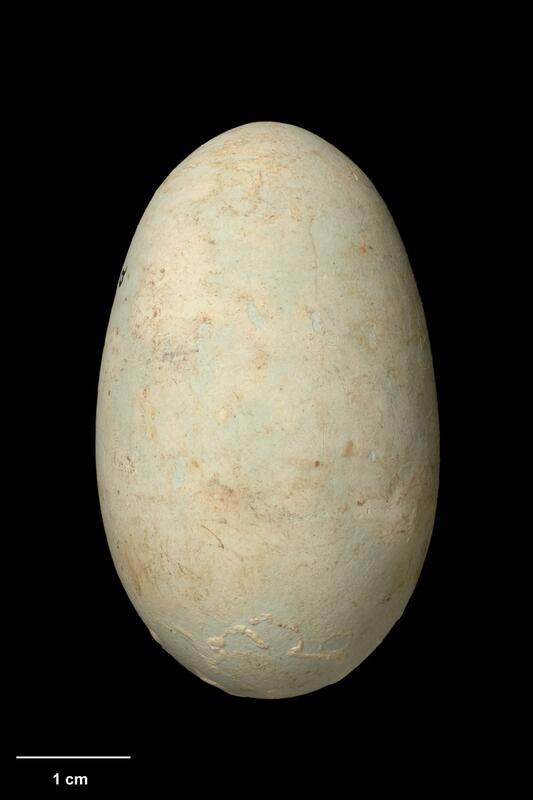 This may be due to iron-staining and persists for an extended period, for example throughout the nesting period of a recognised individual. All little shags have relatively longer tails than black, pied and little black shags. 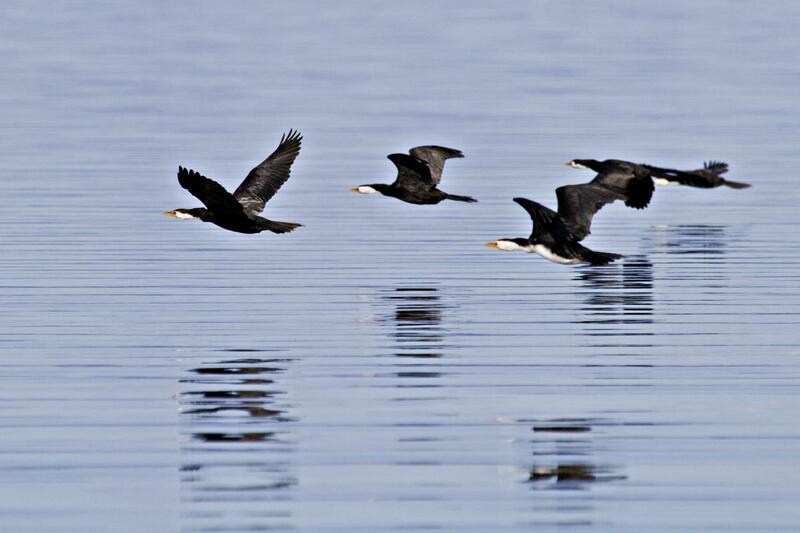 When flying or roosting with wings held out, their wings are also shorter and broader than these three other ‘black-footed’ shag species. 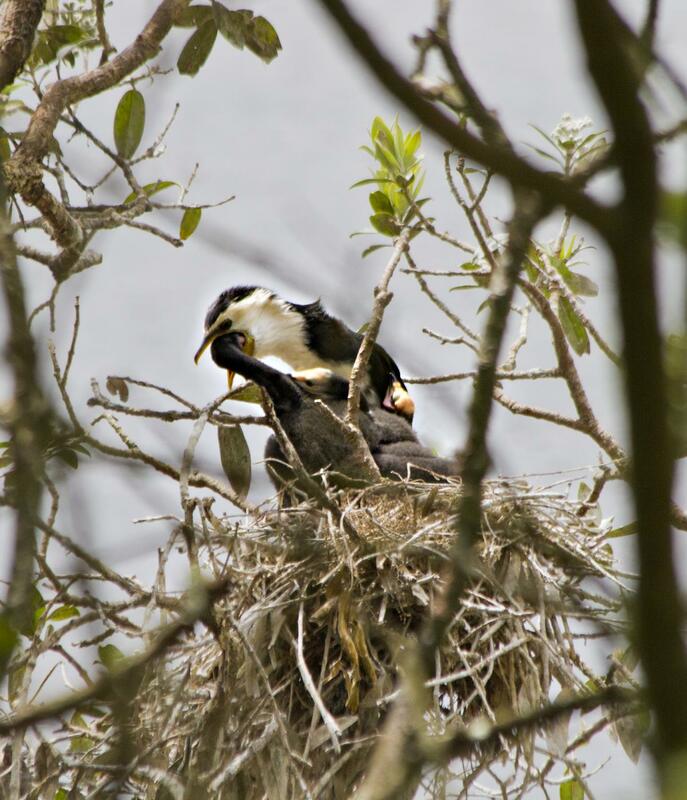 Voice: silent except at nesting colonies, where males give characteristic bi- or tri-syllabic ‘cooing’ sounds during courtship displays. 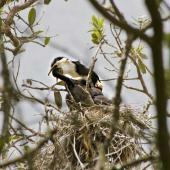 A greeting call, consisting of a series of notes, uh, uh, uh, uh, fading away, is used by both sexes when approaching the nest to change over or to bring food. 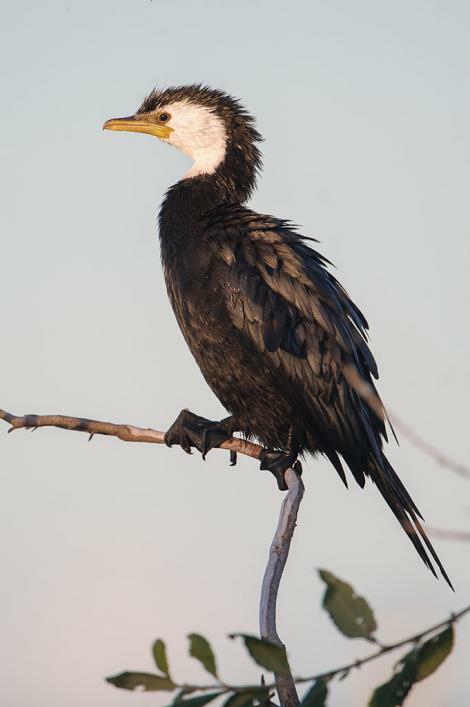 Similar species: black shag, pied shag, and little pied shag all have plumage that is similar to one of the patterns seen in adult or juvenile little shag colour morphs. 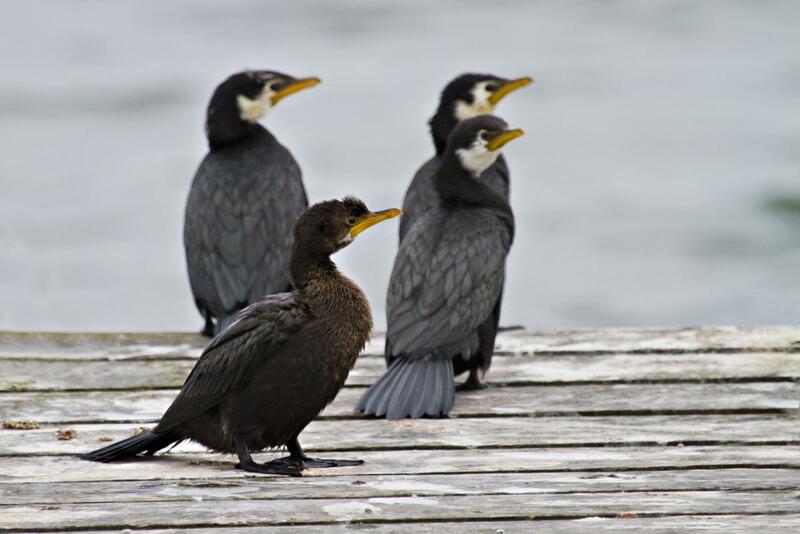 In all ages and plumages, little shags can be distinguished from these three other species by their small size combined with a short, stout yellow bill and relatively long tail. 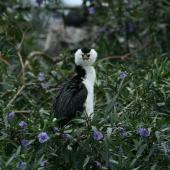 Little shags are widespread in both coastal and freshwater habitats that include lakes, rivers, ponds and streams. 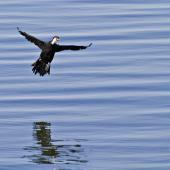 They sometimes feed in ditches and small patches of shallow water, which may account for the tendency to acquire stained plumage. 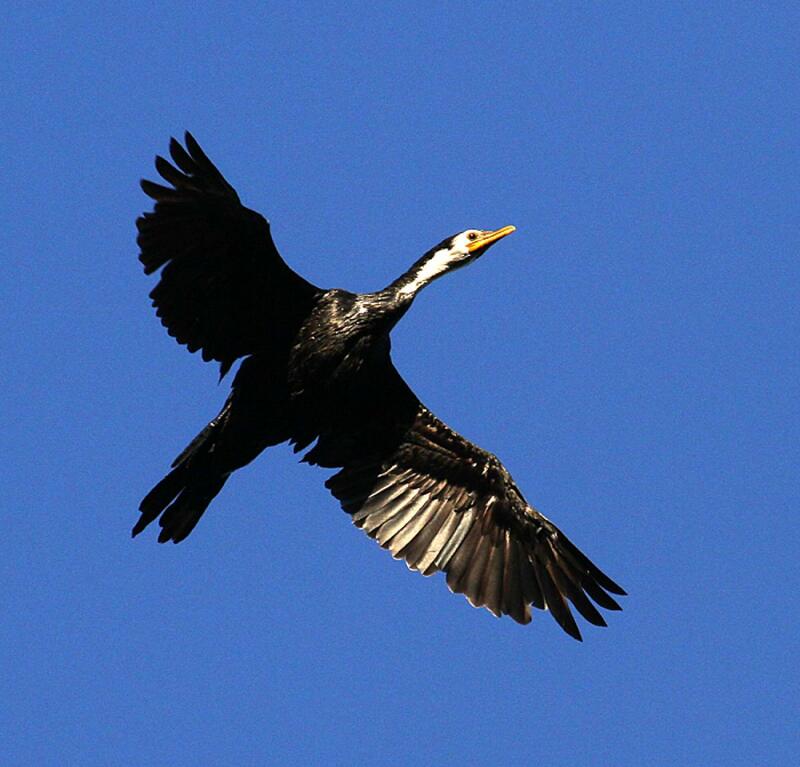 Vagrant birds have been recorded from Chatham, Snares, Auckland and Campbell Islands. 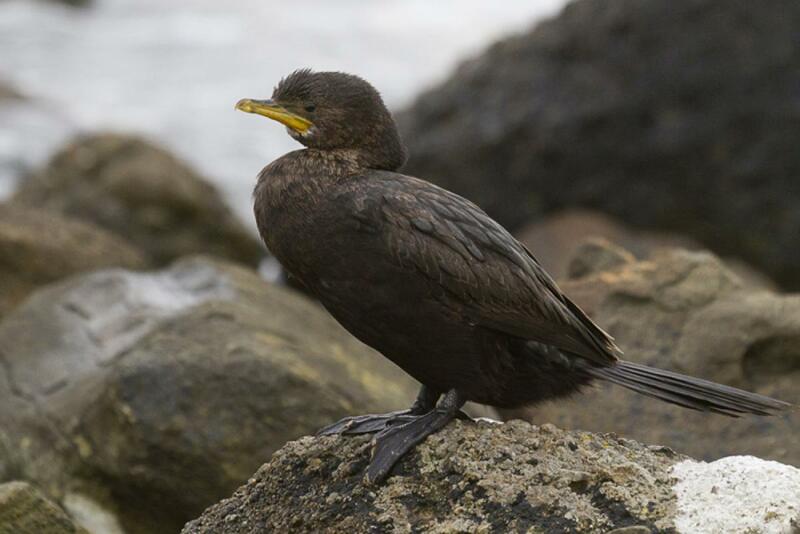 Little shags are reported to be on the increase in Wellington Harbour and southern parts of the North Island, but have decreased markedly in the Auckland region where some colonies have disappeared since the 1980s or fallen below 10 pairs. Published estimates of 5000-10,000 pairs nationally may overstate the abundance of this species, but it is common throughout the country. 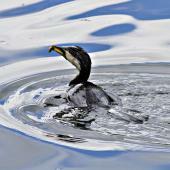 The main threat to the little shag appears to be depletion of its prey species, particularly by pollution or habitat degradation. 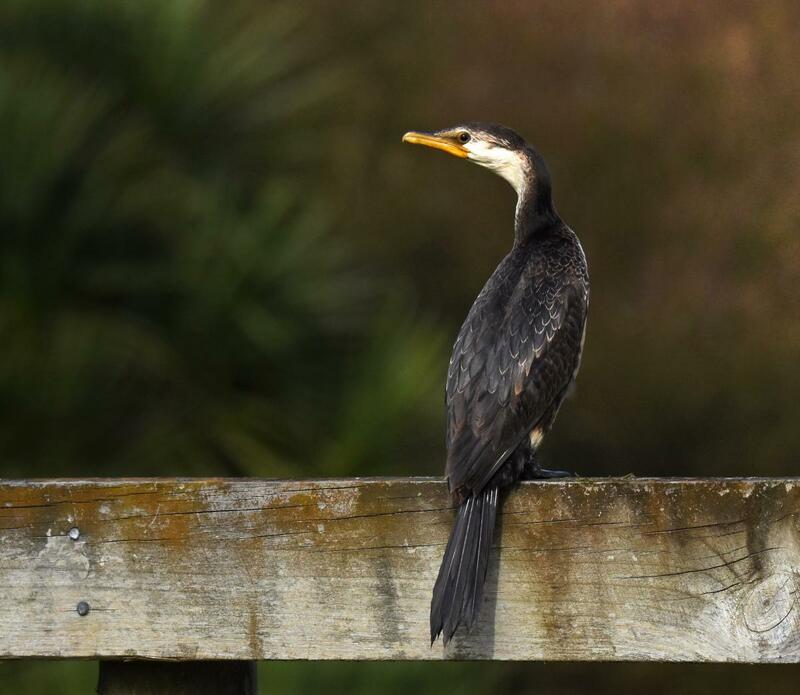 A well-established colony at Hobson Bay, Auckland, studied during the 1980s and 90s died out despite most broods yielding 1-3 fledglings. 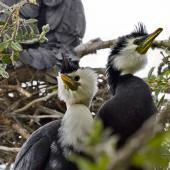 Take-over of nest sites by the larger pied shags was a detrimental factor but not the only cause. 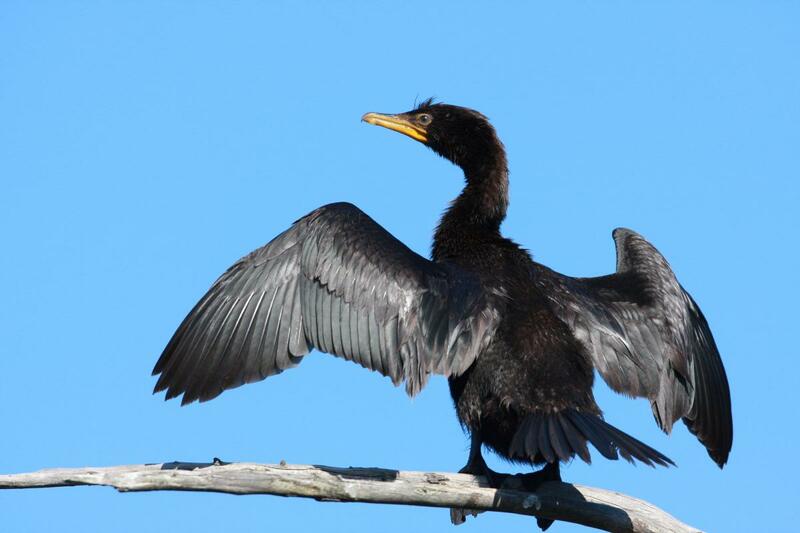 As for other shag species, little shags are vulnerable to capture in recreational or commercial fishing nets, particularly unattended set-nets. 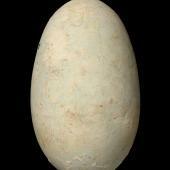 The conservation status of this species was moved from 'at risk - naturally uncommon' to 'not threatened' in 2013. 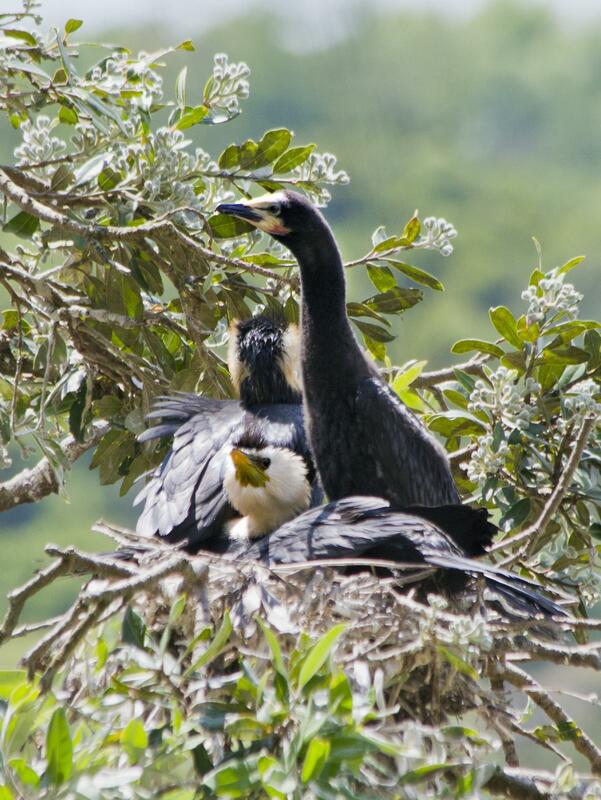 Little shags nest in trees over-hanging water and also on ledges or sea cliffs, forming colonies alone or with other shag species, especially pied shags. 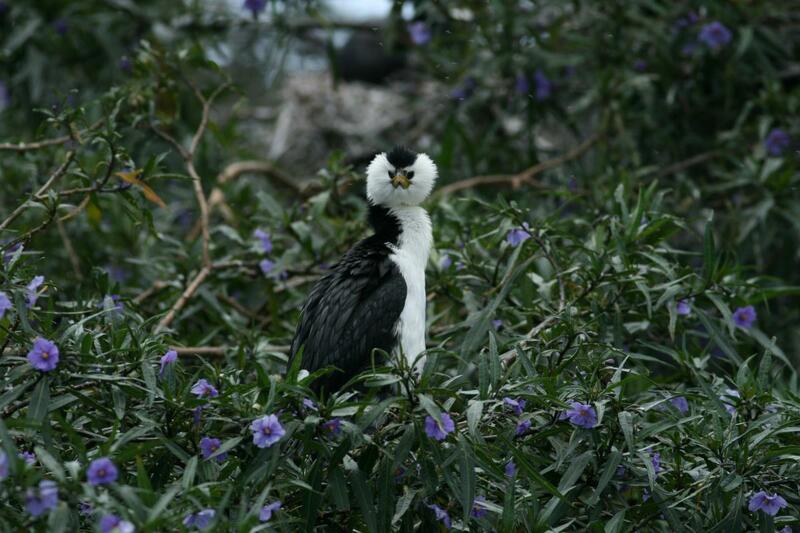 In mixed colonies, pied shags make large stick nests occupying open sites, whereas the nests of little shags tend to be built of thinner twigs and to be hidden in the foliage. 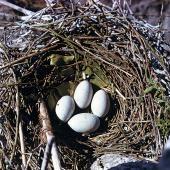 Nests may be no more than one metre apart and are sometimes reused. 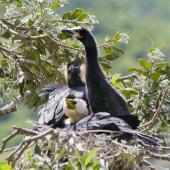 Some little shags begin nesting in July or August, while others join the colony later and breeding can extend to April or May. Peak activity occurs in October-December. 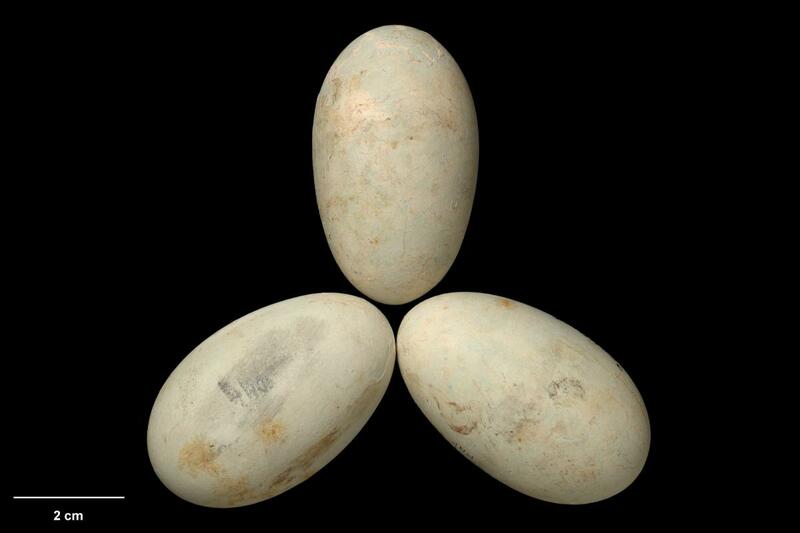 Up to 5 eggs may be laid from which 1-3 chicks are raised. 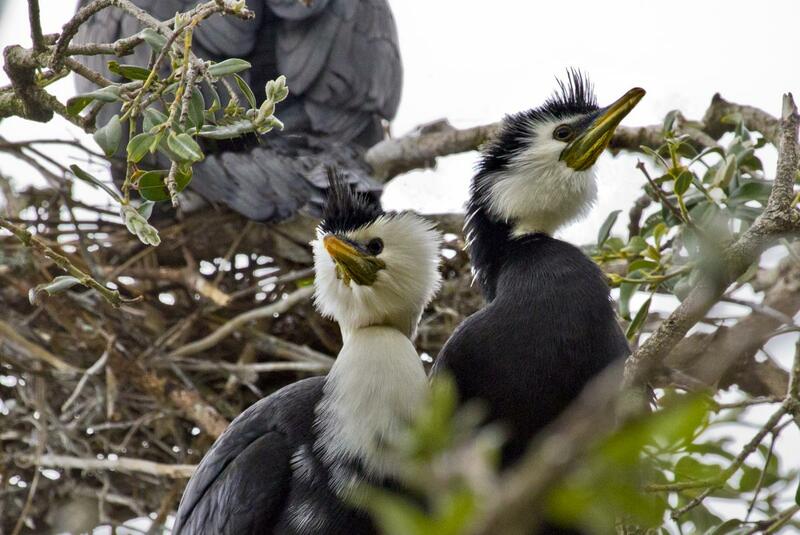 Little shag nestlings begin life with bare black skin, black bill, and pink scalp and throat. 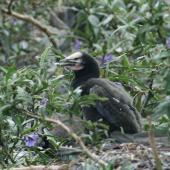 A black downy stage follows, during which the scalp is bald and the salmon pink throat pouch is conspicuous. 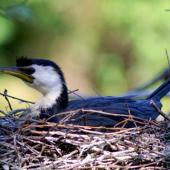 Feathers grow through the down and the young remain in or near the nest until ready to fly. 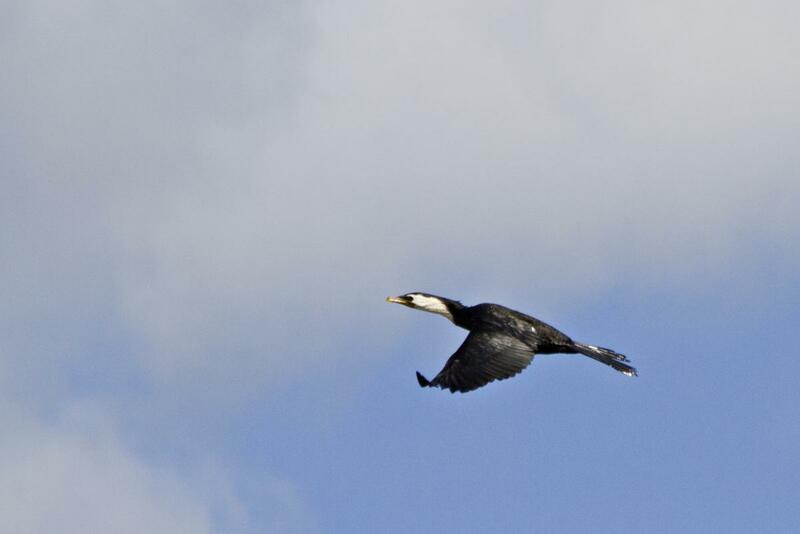 Little shags are generally solitary when feeding (cf. 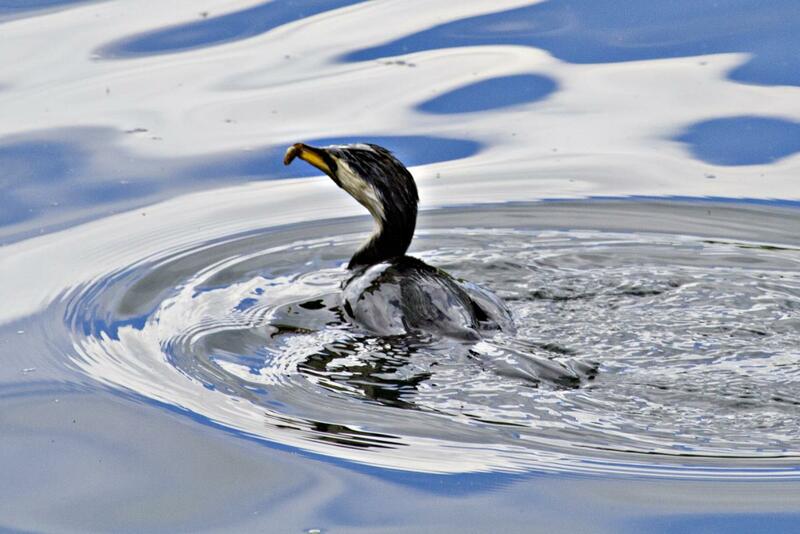 the flock-feeding little black shag), although small groups may occur where birds are attracted to a food source or a convenient perch. 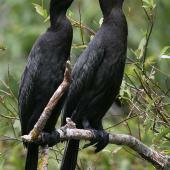 Elaborate bowing courtship displays are given by males at or near the nest. 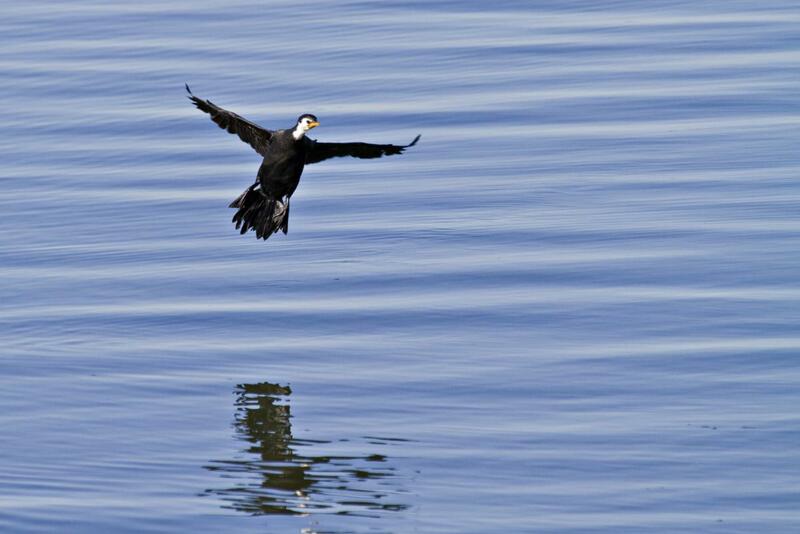 Breeding colonies range in size from 5 to over 200 pairs. 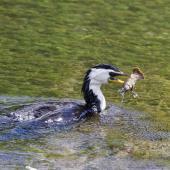 Small fish, eels and crustaceans; also frogs, tadpoles and insects. 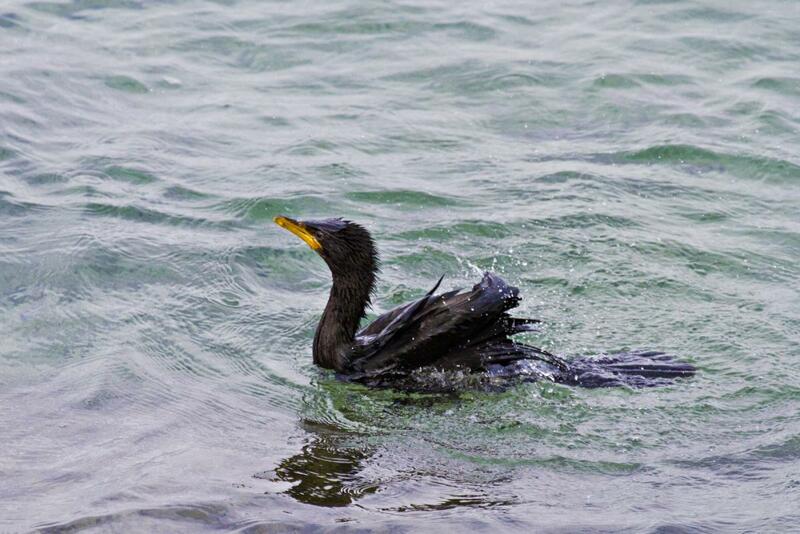 Little shags generally forage alone, making a succession of shallow dives around 20 seconds long. 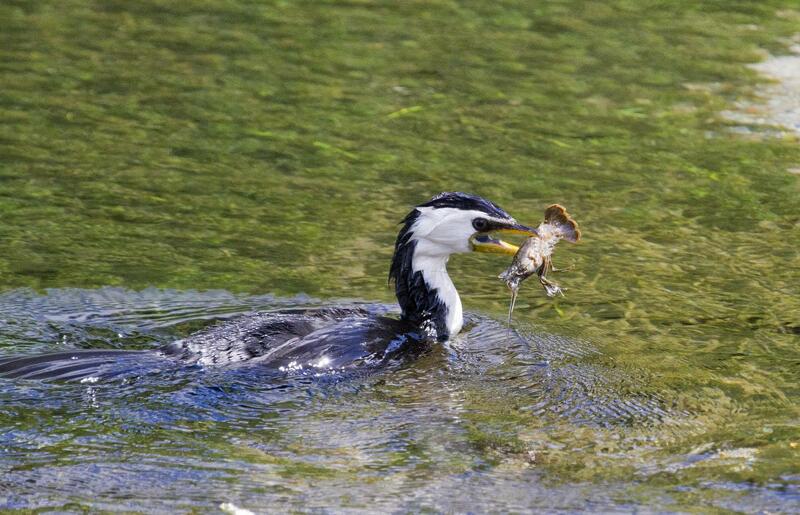 Chicks are fed by regurgitation. Moon, G. 1992. 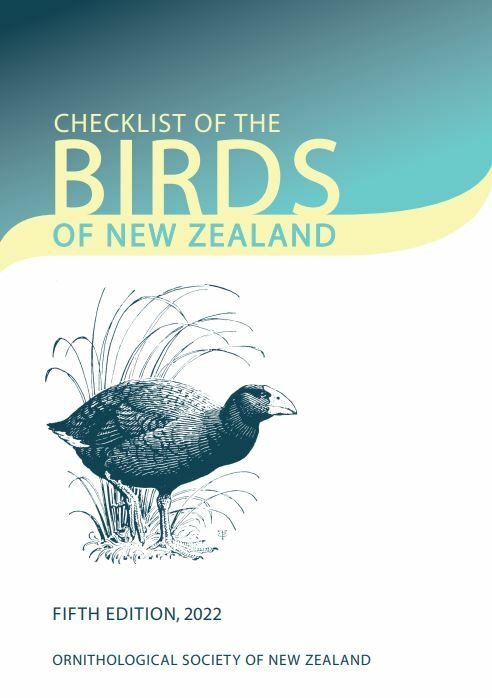 A field guide to New Zealand birds, Reed, Auckland. Powlesland, R.G. ; Luke, I.J. 2000. 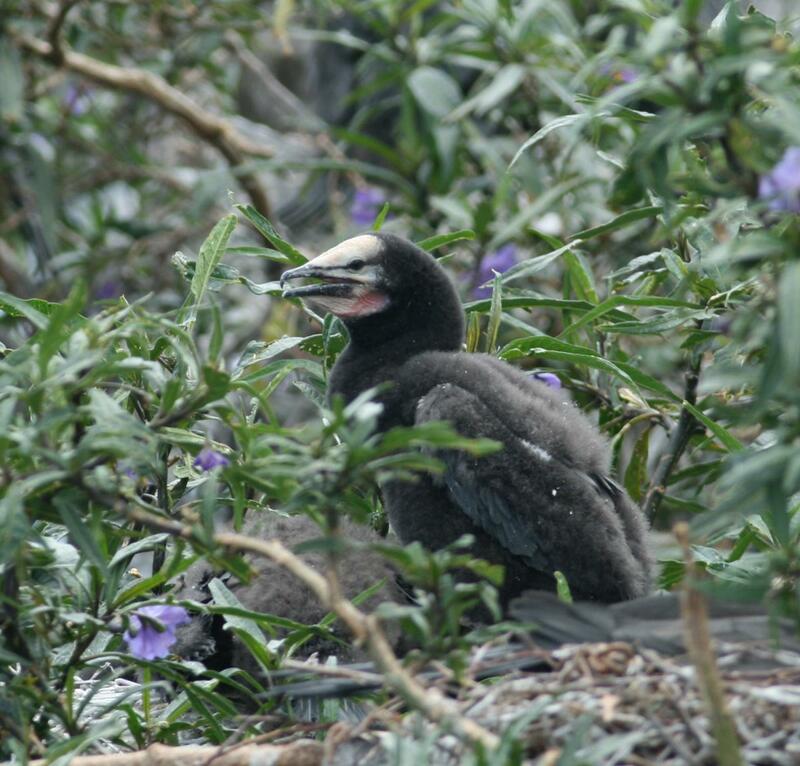 Breeding biology of little shags at Lindale, Wellington. Notornis 47: 1-5. Taylor, M.J. 1987. 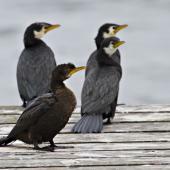 A colony of the little shag and the pied shag in which the plumage forms of little shag freely interbreed. Notornis 34: 41-50. Built of twigs and foliage with the nest bowl lined with fibrous material such as fine grasses. 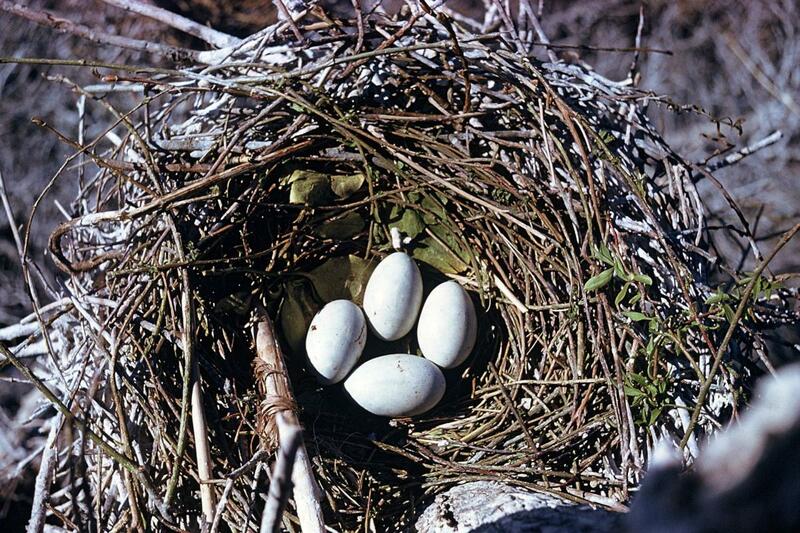 Nests are sometimes re-used. 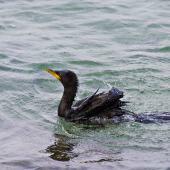 A small shag with a short yellow bill, black feet, a relatively long tail and multiple plumage variations. 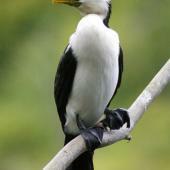 Most adults are either black with white cheeks and throat or black with completely white underparts, or intermediate. 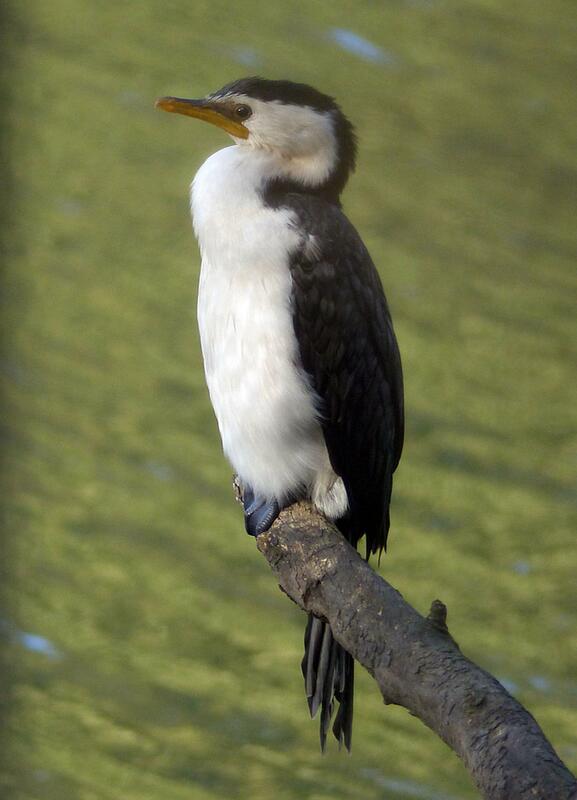 All three morphs develop a head crest during the breeding season.